NEW ORLEANS – Don’t look now, but the 2018 NJCAA Division III Cross Country Championships are exactly one month away. 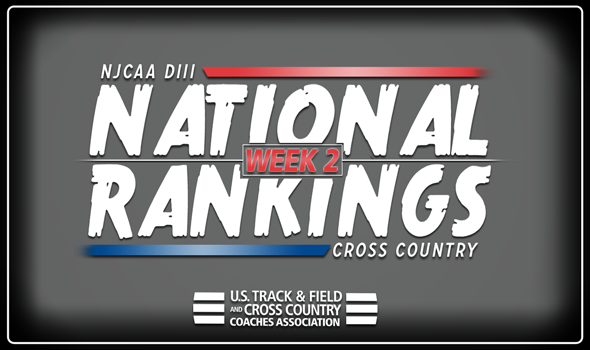 Teams are jockeying for position in the most recent Men’s and Women’s National Team Rankings, which were released Wednesday by the U.S. Track & Field and Cross Country Coaches Association (USTFCCCA). The 2018 NJCAA Division III Cross Country Championships will be held Saturday, November 3 in Canandaigua, New York. Harper College remains No. 1 on the men’s side for the 15th consecutive week. The Hawks last competed at the Brissman-Lundeen Invitational, hosted by Augustana (Ill.), where they finished 12th out of 21 teams and were the top JUCO DIII team in the field. Sandhills (N.C.) continues to hold its ground in the No. 2 spot. The Flyers recently competed at the Queens City Invitational this past weekend, where they were led by Daniel Taylor who was named National Athlete of the Week after crossing the finish line in 28th place. Hudson Valley (N.Y.) maintained its hold of the No. 3 spot, while Lorain County (Ohio) moved up to No. 4 and Suffolk County (N.Y.) rounded out the top-5. Harper College won’t budge from the No. 1 spot in the women’s rankings. The Hawks have been the top-ranked team each and every week of the past three years. Harper College last competed at the Brissman-Lundeen Invitational, where it posted a 10th-place team finish. Taylor Kreiss led the Hawks as she placed 36th overall. Suffolk Country (N.Y.) jumped three spots between Week 1 and Week 2. The Sharks, who are now ranked No. 2, recently competed at the Mount Saint Mary Invitational and placed seventh out of 26 teams. Suffolk County (N.Y.) was the last team not named Harper College to be ranked No. 1 in the women’s rankings, which was way back in 2015. Hudson Valley (N.Y.) dropped one spot to No. 3, while Camden County (N.Y.) and Fashion Institute of Technology (FIT) rounded out the top-5 in fourth and fifth, respectively. Week 4 Wed 10/31 Nov. 3: NJCAA DIII Champs, Canandaigua, N.Y.
CONVENTION UPDATE: Reserve Your Room For Convention Today!